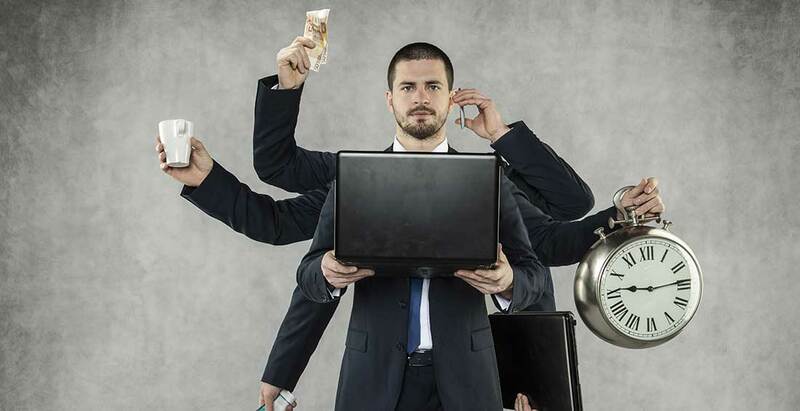 The Empowered Buyer has unleashed a range of new productivity challenges. Sales cycles have become longer and more complex than ever before. This becomes painfully clear in the declining number of sales reps still making quota: only an alarming 50% according to CSO Insights. 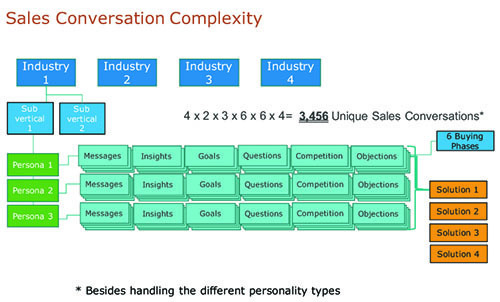 One of the major productivity challenges we see, is conversation complexity. Bottom line: John has a couple of thousands of conversations to manage! Many companies really do expect their sales teams to familiarise with such inhuman amounts of information. And besides knowledge, don’t forget that reps need the capability to inject just the right content into the conversation at the right time, to the right person. Now raise digital hands: can we agree that this is a mission impossible? Nobody can learn to handle this type of complexity. Sales reps are no robots switching seamlessly from one situation to the next every hour of the day. It is time we look for alternatives to support sales. 2. Even Messi never stops training. So why would sales?